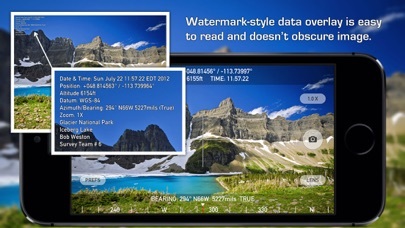 Nav Camera uses the proven navigation, augmented reality, and image processing engines from the well known Theodolite app to create a new app that focuses on photogaphy and video recording with data overlays. 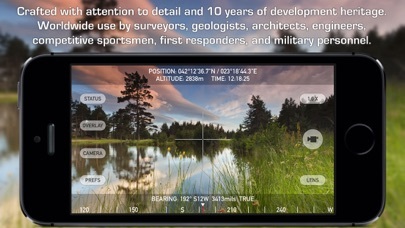 The app has been crafted with attention to detail by a top iOS developer, and benefits from over 10 years of development and testing heritage, along with real world usage by surveyors, geologists, architects, engineers, competitive sportsmen, first responders, military personnel, and search and rescue workers around the world. Nav Camera lets you take photographs and record movies in landscape and portrait orientations with geo-location overlays and custom notes. 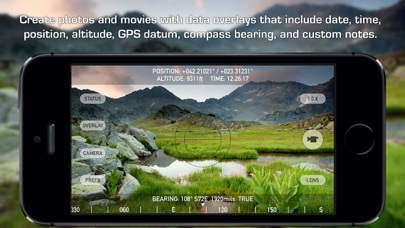 Geo-location overlays include date, time, position, altitude, GPS datum, and compass bearing. Overlay data is updated in every frame when recording movies, which is great for documenting dynamic scenes or scanning an area. 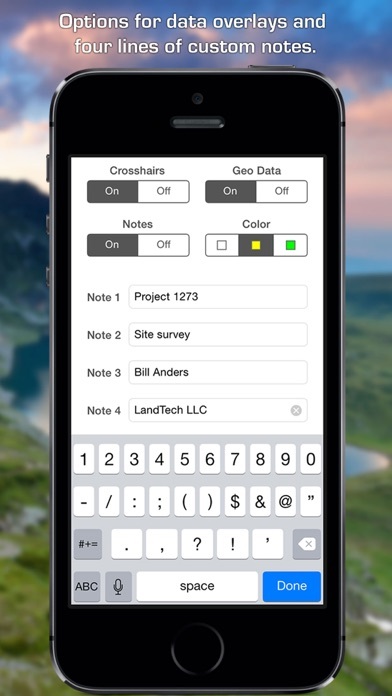 You can enter up to four lines of custom notes to be rendered into the overlay, which is perfect for job descriptions, project names, company/staff information, invoice numbers, or additional comments/documentation. Various parts of the overlay can be turned on or off, and multiple overlay colors are available. Nav Camera includes features for serious users including multiple reticles (three types of crosshairs and an SLR-style focus/exposure indicator), colored lens filters to improve use in dark conditions and preserve night vision, and multiple position formats including military grid reference system (MGRS), universal transverse Mercator (UTM), British/Irish National Grids, and six latitude/longitude variations. 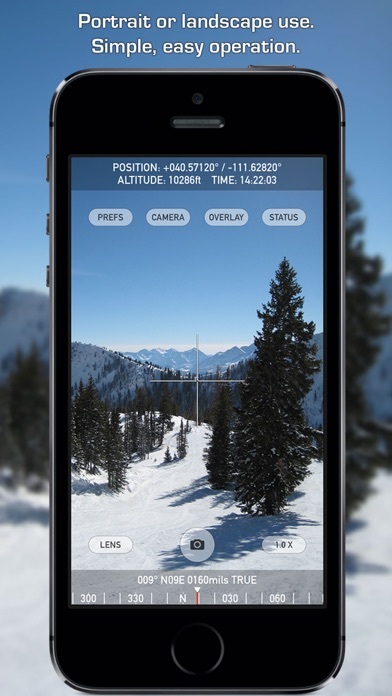 The optional "Datum Pack" adds over 220 geodetic datums to the app for more accurate position and altitude computation from GPS data. Optional datums include NAD-27, NAD-83, OSGB-36, ED-50, and hundreds of others, covering regions and countries on all continents around the world. Find out why apps like Nav Camera and Theodolite, and their field-proven results, are featured in Apple Keynotes, written up in magazine articles and professional journals, and used by everyday explorers and pro users around the world. Where will you take Nav Camera on your next adventure? Nav Camera works on any iPhone or iPod Touch with camera, running iOS 10 or later. If you like Nav Camera, please leave a review/rating on the iTunes App Store. It only takes a moment, and helps us a lot. Thanks!